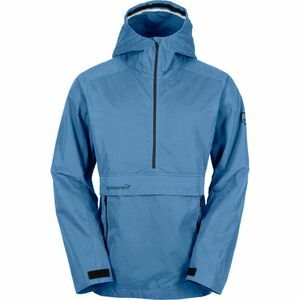 Bust out the Outdoor Research Men's Revel Jacket when a passing shower threatens to drench your afternoon hike or spring fishing session. The waterproof and breathable Pertex Shield fabric protects you from rain and crisp, not-quite-summer weather. 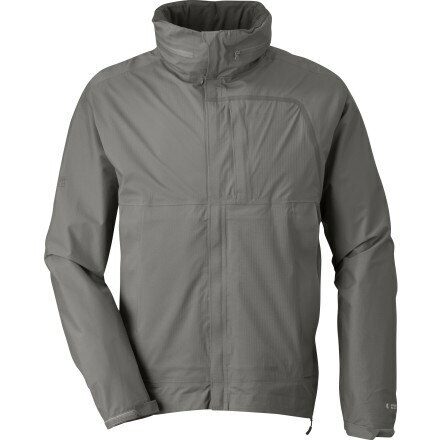 The jacket's adjustable hood conveniently zips into the collar for low-profile wear when not in use, and it features double-sliding TorsoFlo vents to dump excess heat. 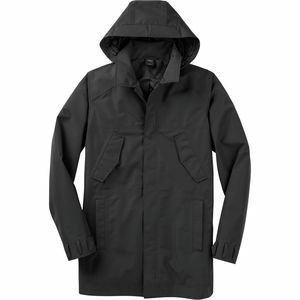 DWR coated, double-separating zippers resist moisture when subjected to heavy rain.